Instream Stocks CSP from 300mm all the way up to 1000mm in 6 meter lengths and can get any other size you might require. Instream also stocks Annular/5 core couplers, huggerband couplers & dimple/repair couplers for all our pipe sizes in stock. 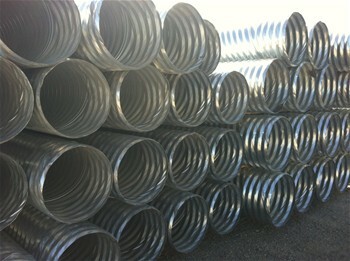 Did you Know: Instream Water Control Products is the ONLY shop in Southern Alberta that can Re-Roll your CSP ends! Call us for pricing.